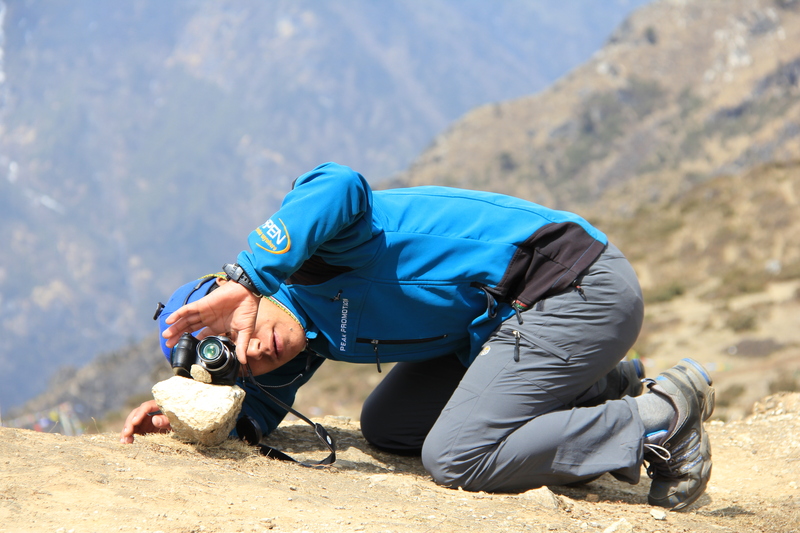 It was a full day of a beautiful acclimatization hike to Kumjung then on to Kunde and back to Namche to sleep at a lower elevation. 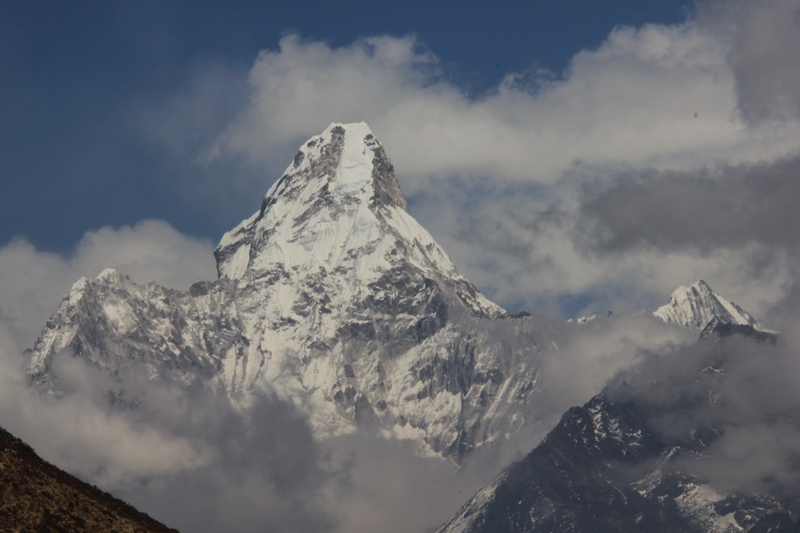 Ama Dablam, the Nepalese Matterhorn meaning “Mother’s Necklace”, and my favorite mountain in the Khumbu, expertly identified by the world’s greatest trekking mate Jim Schultz in Do You Wanna Go to Everest, shined brilliantly and brought smiles to all. We had our first glimpse of Mt. Everest, and couldn’t stop staring at the majestic Themserku all day. 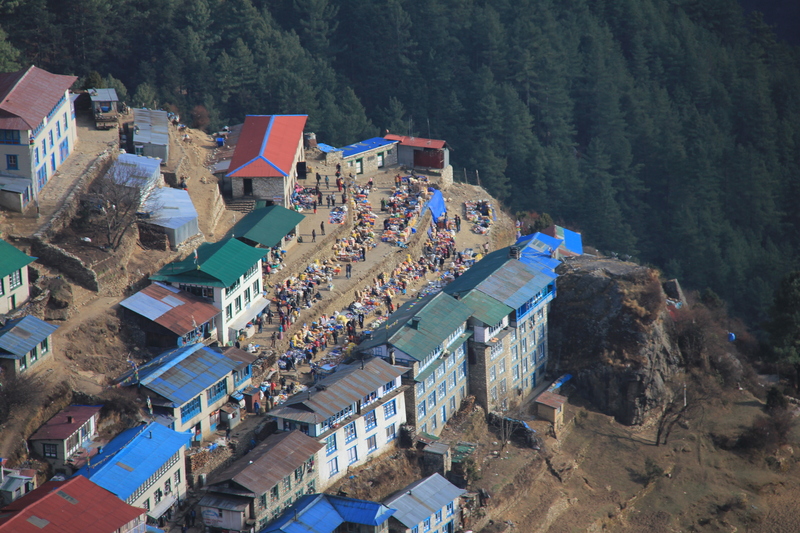 We were driven away from our rest area by a helicopter landing by the Everest Hotel, likely bringing guests to stay at the one truly contemporary hotel in the Khumbu. 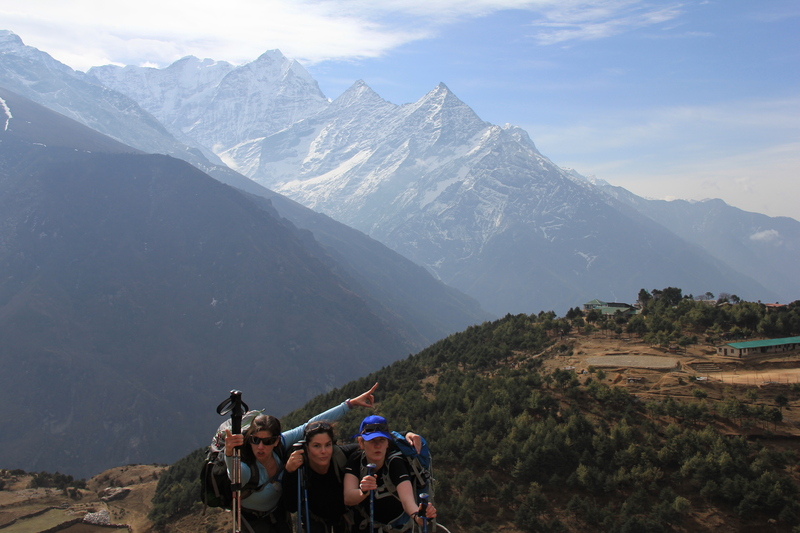 Their back porch offers awesome views of the peaks climbers are here to summit. We enjoyed an amazing lunch at Amadablam Lodge in Kumjung, stopped at the monastery in Kunde where some paid to see the Yeti skull. 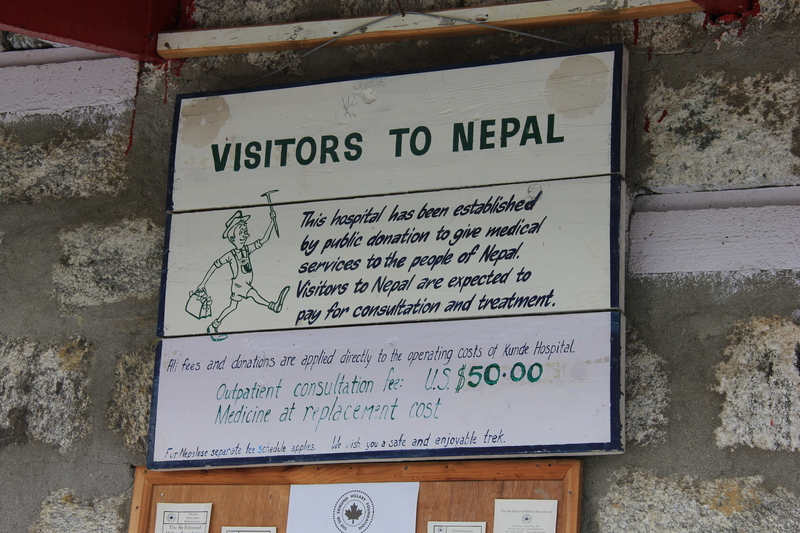 Later we had the privilege of touring the hospital founded by Sir Edmund Hillary, Kunde Hospital, with Mingma, (I likely butchered the spelling of his name). 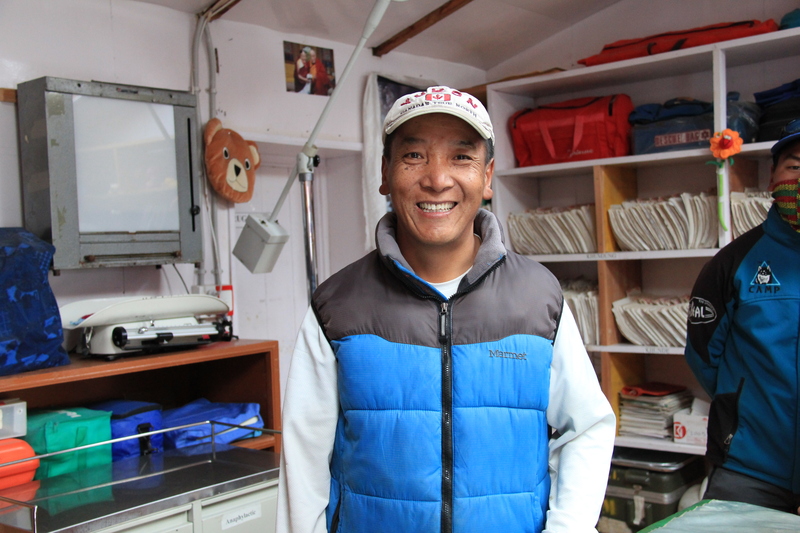 Mingma, a hospital staff member for the last 31 yrs, has the kindest smile, and is a pleasure to meet, speak to and listen to. 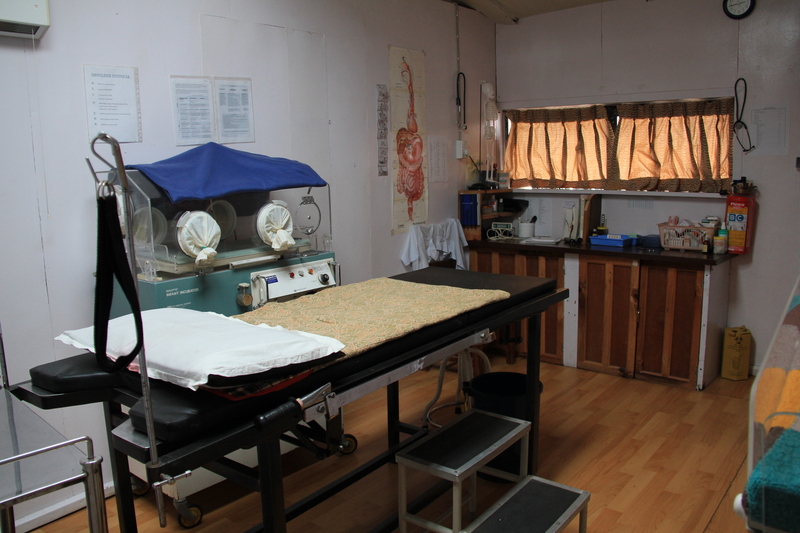 This is a 15-bed hospital, staffed by 2 docs, 1 midwife and other local staff. 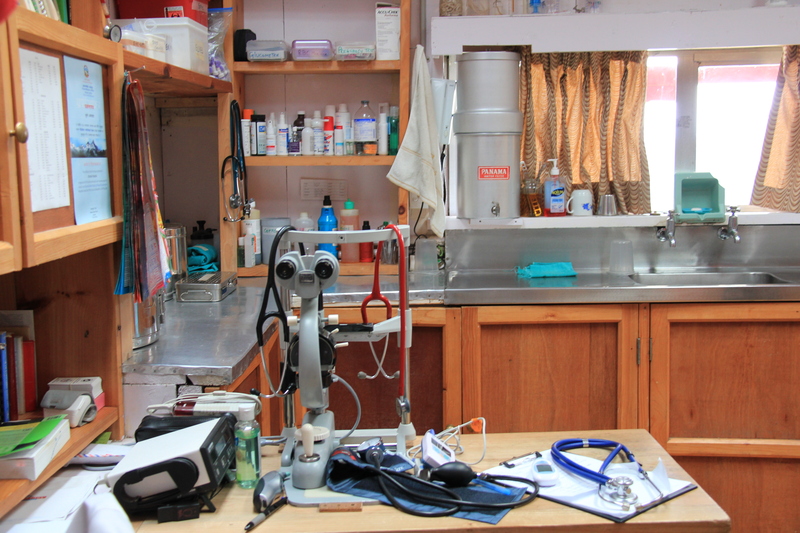 They see 30 patients per day and are open 23-7 (one hour per day closed for cleaning), 365 days per year. 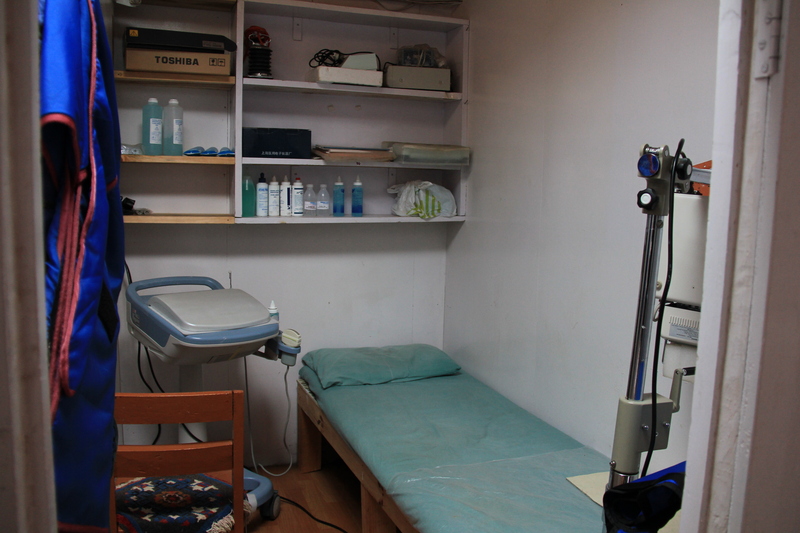 The docs also visit local smaller clinics. The commitment of the staff to this hospital just about brought me to tears. They work so hard, for so many hours, with such limited resources, and not much in the way of compensation, all the while with kind smiles on their faces. It’s a stark contrast to how so many of us (myself very much included) complain at times when we get well compensated for working fewer hours with massive resources. I remain humbled. Labor and Delivery at Kunde Hospital. 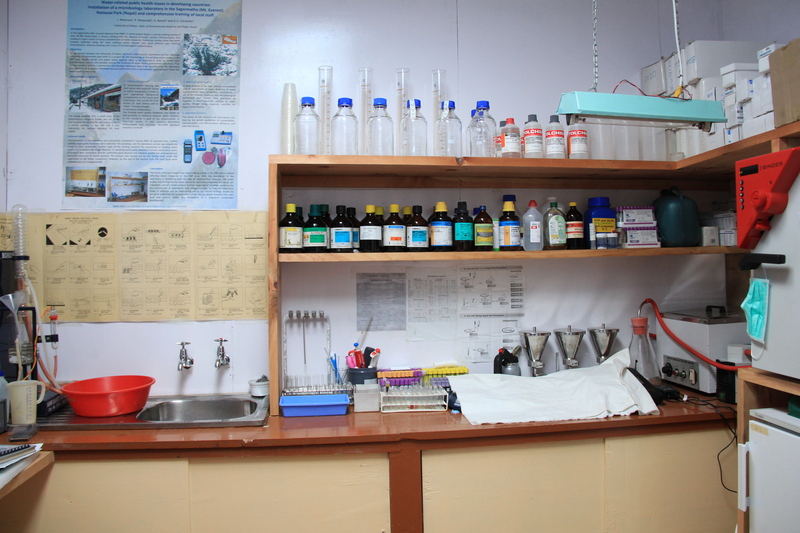 Any high risk pregnant women move to Kathmandu close to delivery. 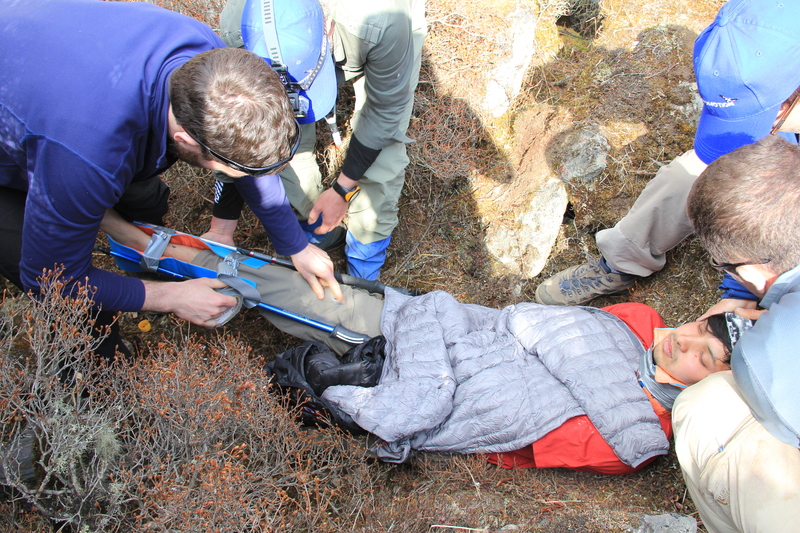 As we hiked out, our trekkers encountered a scenario where a lone hiker (Pranav) was found down and altered. The group ultimately assessed patient with HAPE, HACE, and trauma and managed appropriately. Scenario-based learning, as always, was high yield. 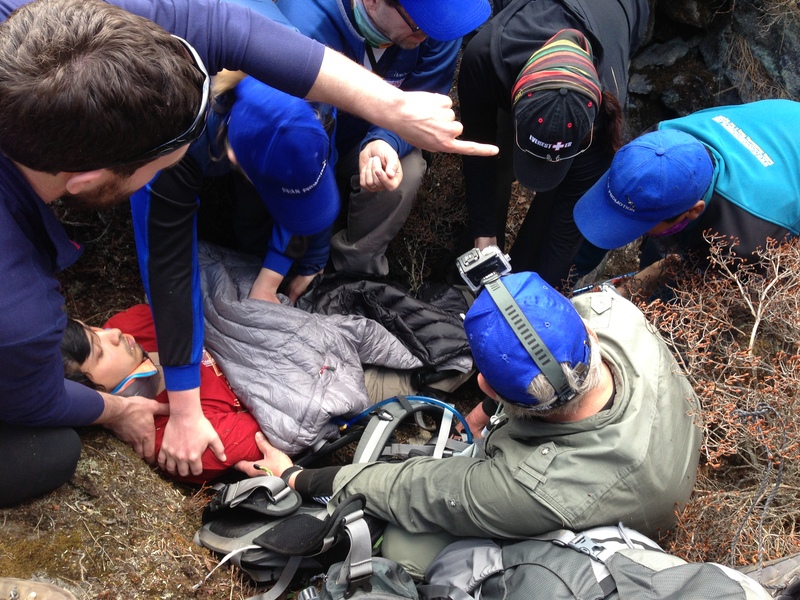 The whole group, physicians and non-physicians alike, learned much about the differential diagnosis of Altered Mental Status at altitude, various ways to immobilize the c-spine in the backcountry, how to run a trauma, and the importance of the Secondary Survey. 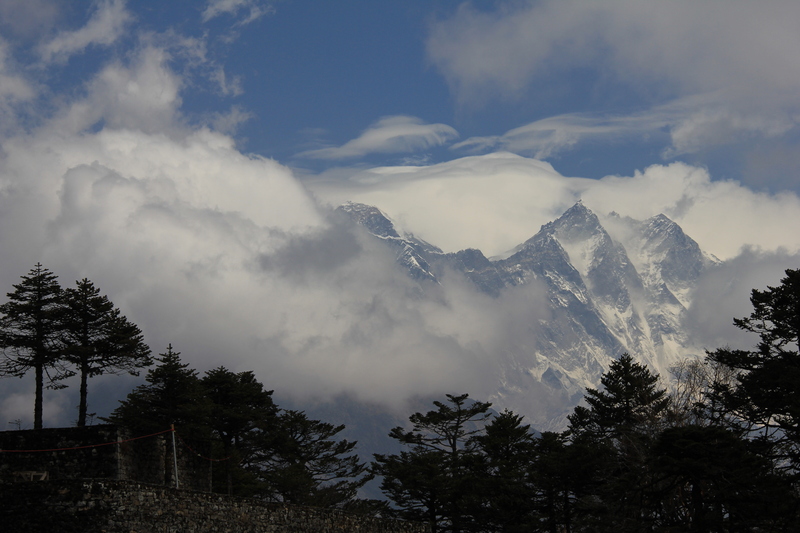 The next day would bring us to Tengboche (3860 m). Namaste & hugs!